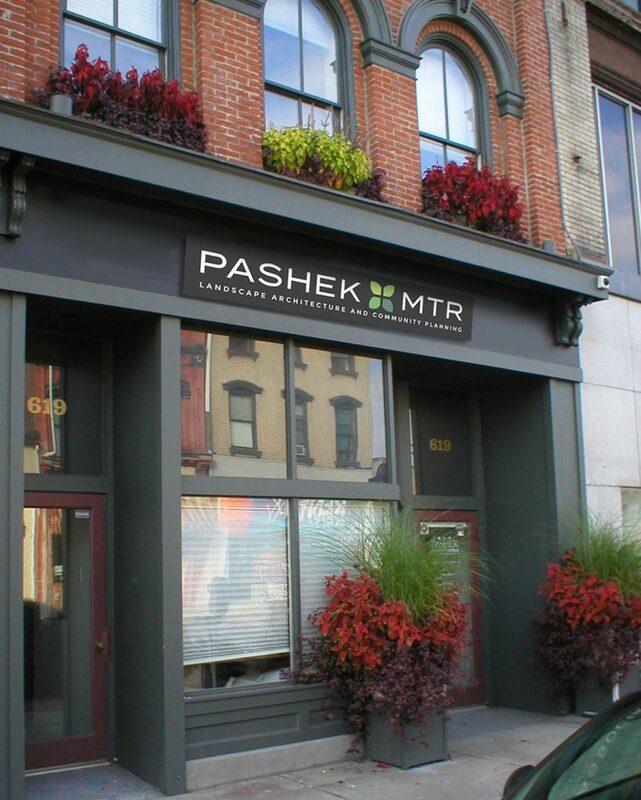 Award-winning Pittsburgh planning & landscape architecture firms Pashek Associates and MTR Landscape Architects have merged to become Pashek + MTR. By combining the strengths, specialties, and staff of both companies, we provide even greater capacity to help our clients realize their goals. Pashek Associates, founded by Jim Pashek in 1984, has demonstrated excellence in park and recreation planning and design, community planning, and urban design. The firm is well known throughout Pennsylvania for projects that raise the bar for community engagement and sustainable site design in the public realm. Jim and his staff have particular expertise in facilitating an interactive and collaborative design process, which is an excellent fit with MTR’s core values of listening and responsiveness. MTR Landscape Architects, founded by Missy Marshall, has had the privilege of working with botanical gardens and arboreta throughout the U.S. MTR has also been active in our local region, working with clients such as the City of Pittsburgh, the Western Pennsylvania Conservancy, the Pittsburgh Botanic Garden, and private residences. We are proud to serve veterans and their families with design work at National Cemeteries around the country. MTR and Pashek Associates share a commitment to sustainability and improving the world around us, creating exceptional places that connect people with nature and with each other. Our landscape architects and community planners create exceptional outdoor environments for clients of all kinds, including nonprofit organizations, municipal, state, and federal government, public gardens, architects and engineers, and public & private schools and universities. We are a full-service firm with experience in every phase of project development, from planning to construction. As Jim and Missy gradually transition into mentorship roles over the next several years, landscape architects John Buerkle, Nancy Roman, Sara Thompson, and Kara Roggenkamp will continue in a leadership capacity at Pashek MTR, putting a combined 78 years of experience of planning, site design and development at our clients’ fingertips. Our staff of talented, credentialed design and support professionals marries experience and creativity with skill in communicating with our clients and communities. We’re excited to be a growing firm that values listening to our clients and being responsive to their needs. Underlying that responsiveness is respect – for the communities where we work, for the natural and built environment, and for people who use the spaces we plan and design.